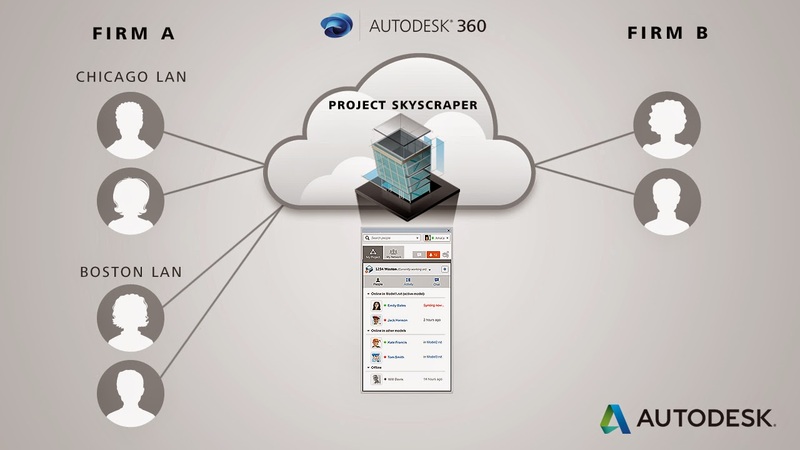 Autodesk recently unveiled Project Skyscraper, a technology preview for Autodesk Revit that will allow the entire project team to collaborate in the cloud using Autodesk 360. Project Skyscraper will help firms avoid the costly IT set-up and management associated with most available collaboration solutions. As projects increase in complexity and teams become more globally diverse, architecture, engineering and construction firms are looking for ways to author models across firewalls in real-time no matter where in the world they are located. Project Skyscraper allows project stakeholders from multiple companies or locations to concurrently author a model hosted in the Autodesk 360 platform, which enables all project stakeholders to view, search and provide feedback on projects from anywhere, at any time from any modern web browser or connected mobile device. To help firms become familiar with Project Skyscraper Autodesk is hosting “Open House” sessions in the summer of 2014 to allow customers to experience this new collaboration system.